While conducting research on the South Brooklyn Railway, Joe Roborecky forwarded two maps that he located within the online archives of the Library of Congress. These maps and the associated images led to a significant discovery. 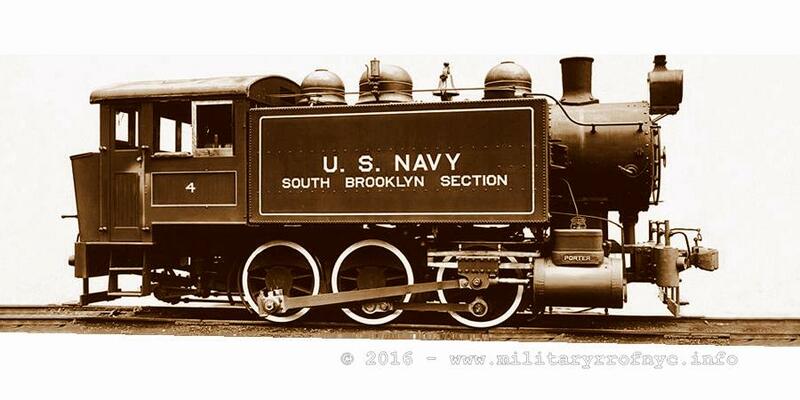 As it turns out, the Navy Department had a railroad, with tracks and dedicated locomotives located west of Second Avenue, between 32th Street and 29th Street in the Sunset Park neighborhood of Brooklyn. 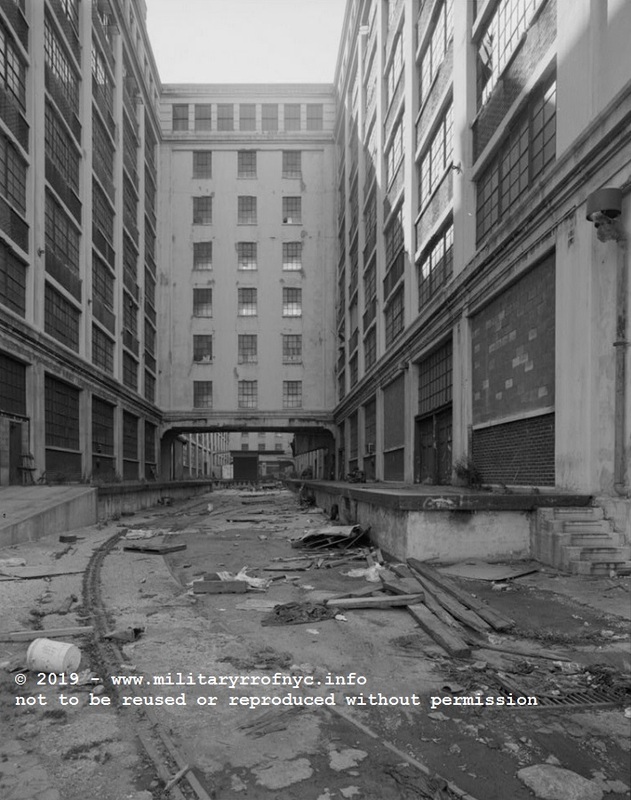 This location was to be known as the South Brooklyn Fleet Supply Base, Third Naval District. 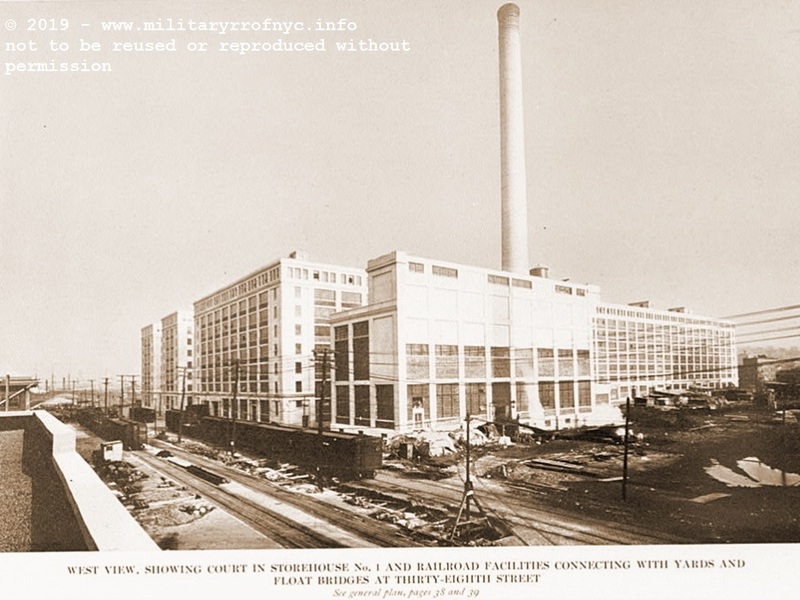 The Fleet Supply Base was commissioned 23 September 1918 and this base is comprised of two loft buildings, two warehouses, a powerhouse and a few extraneous structures. All structures were constructed within an eight month period in 1918. 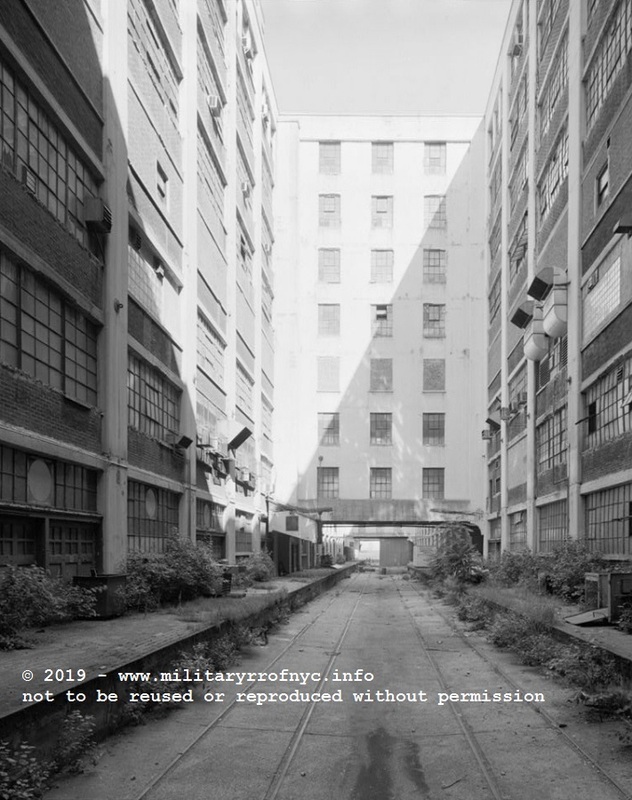 This base was constructed to supply the Third Fleet during WWI which was based in New York. During World War II, this base operated as a Clothing Supply Depot, and employed about two thousand garment workers to sew uniforms. 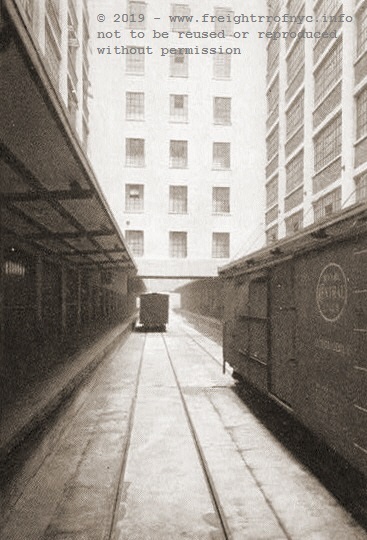 After 1960, the warehouses were managed by General Services Administration. In 1991, Storehouse No. 1 was rebuilt to accommodate the Federal Detention Center. The first of these maps, which is undated, but believed to be circa 1913 based on the fact the the South Brooklyn Marginal Railway is shown. Note the location of this proposed trackage. Please note, that this is a lease proposal map, not an actual property map. At the location between 36th and 38th Streets west of Second Avenue, you will see property marked "8th Ward Market Site" and a loop of track within that property. This trackage appears to be serviced by Bush Terminal RR for a farmers market once located there. The next map in the Library of Congress records collection, which is dated 1919 and seen below, the Navy has leased those structures shown in the lease proposal map above as well as a few others. It has also laid extensive trackage both with their property at 37th Street and along Second Avenue. This trackage appears to have been laid upon the right of way of the proposed South Brooklyn Marginal Railroad, which never progressed to a construction stage. The Library of Congress documents above reflect a rather large yard at the foot of 37th Street between Gowanus Bay and Second Avenue, with running trackage paralleling Bush Terminal RR trackage along Second Avenue. Of particular note is the fact that the Navy trackage serving the warehouses, pier and powerhouse operated by the Fleet Supply Base paralleled Bush Terminal trackage. While Bush Terminal trackage would run down the centerline of Second Avenue, Navy trackage ran along west of the curbline of Second Avenue. It should be noted at this time that another small "P&C Depot" (Provisions & Clothing) was located between 43rd and 44th Street and First & Second Avenues. This location however appears to have been directly serviced by Bush Terminal RR up to the property line. Numerous turnouts between the South Brooklyn Fleet Supply Base trackage and Bush Terminal RR trackage, as well as a connection to the South Brooklyn Railway at 39th Street is evident. Also shown, is that one pier dedicated to the Fleet Supply Base (and leased from the City of New York) was equipped with a track along each edge outside of the actual piershed. The images below, while quite grainy, show these tracks. Another pier (one pier north) which was not leased by the Fleet Supply Base and operated by the City of New York and was equipped with trackage in the piershed. According to the map legend; trackage outside the piershed was operated by the US Navy (solid lines), but the trackage inside the piershed was City property (dashed lines). Judging from the map, it appears that the US Navy would have to provide rail service to that pier. New York & New Jersey Port & Harbor Development Commission, 1920"
"Court in Storehouse #1 showing loading platforms & connecting bridge"
Also of particular interest, is the fact that two float bridges were installed at what hypothetically would be considered the foot of 38th Street, had that street continued to the water. From the image on page 51 of the Turner Construction brochure, shows a Pony Truss float bridge. 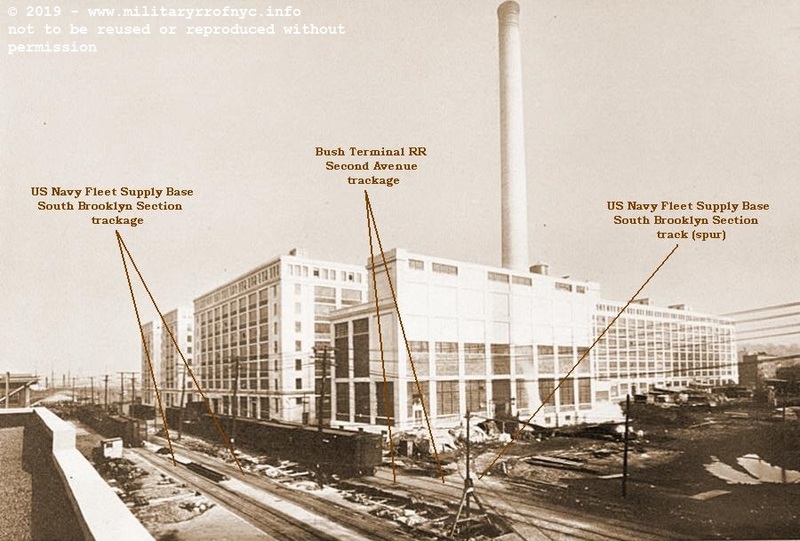 As far as can be learned, the existence of the Fleet Supply Base tenure was quite short, with the facility being closed circa 1922, and as only having being built in 1918, means it was only in service for 4 years. by the lettering on the side tank: "U S NAVY" and "BROOKLYN". However that attribution has now been determined to be incorrect. 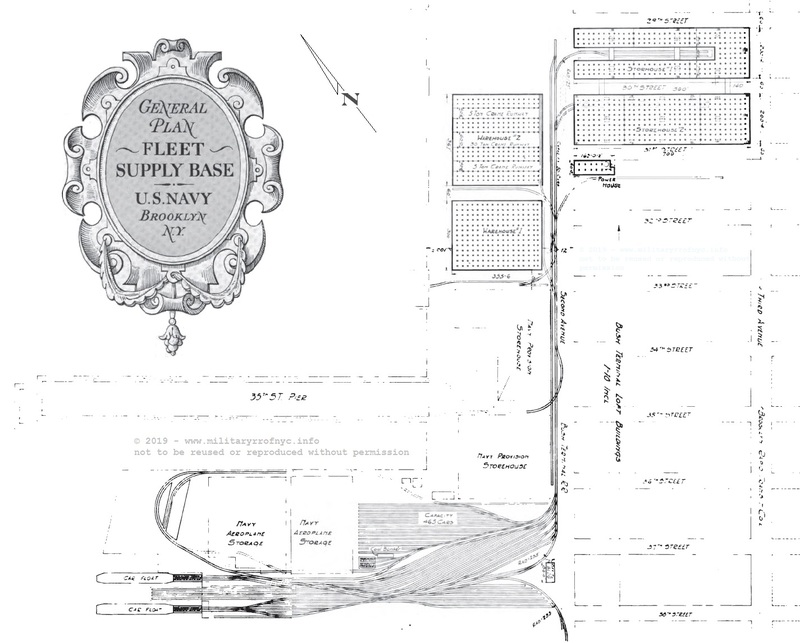 The Fleet Supply Base was a seperate facility from the Navy Yard. We know of at least two steam locomotives that operated at this location with the very strong possibility of four. As seen below, the H. K. Porter builders photo of #3 and #4 shows their livery from H. K. Porter to be "U. S. Navy South Brooklyn Section". These two locomotives were part a four unit order of identical locomotives made by the US Navy. We also know that this locomotive below (c/n 6368) and one other sister (c/n 6369) would eventually be purchased by the Brooklyn Eastern District Terminal in 1922. This date coincides with the closing of the Fleet Supply Base. 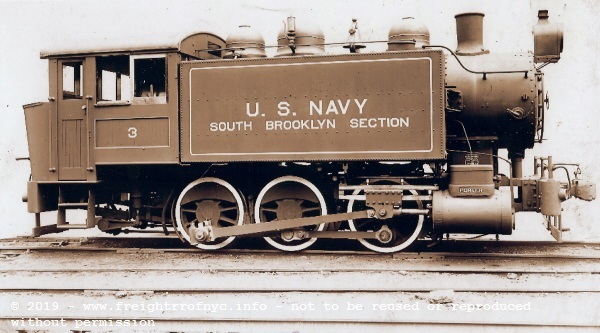 Why these locomotive were painted South Brooklyn Section and not Navy Yard (as all the other Navy Yard locomotives had been) had been puzzling. But with the discovery and research into this facility located in South Brooklyn, the question is answered, and at the least we now know why the locomotives were marked "South Brooklyn Section". What became of the other two locomotives (c/n 6366 and c/n 6367) from this order remains unknown. 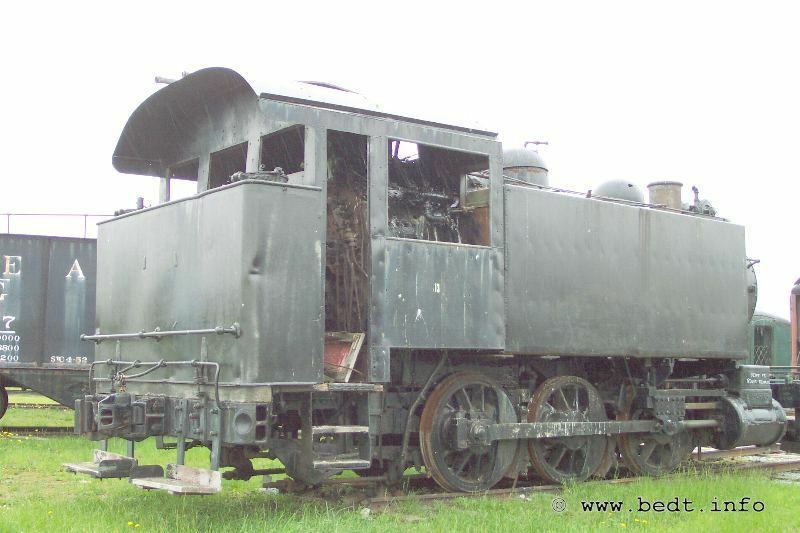 Fortunately, the two sisters that were purchased by the Brooklyn Eastern District Terminal survive to this day with #3 (BEDT #12) in Parrish, Florida at the Florida Railroad Museum, and #4 (BEDT #13) at Age of Steam Roundhouse in Sugarcreek, Ohio. H. K. Porter 6366 3/1919 std. 0-6-0T 46" 18" x 24" new #1 unknown wgt: 128,000 lbs. H. K. Porter 6367 4/1919 std. 0-6-0T 46" 18" x 24" new #2 unknown wgt: 128,000 lbs. 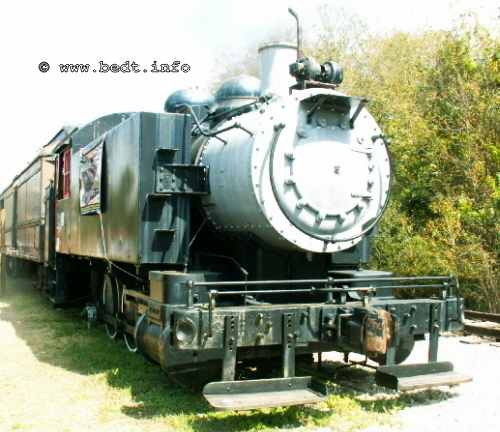 currently on display at Florida RR Museum, Parrish FL wgt: 128,000 lbs. and are identical sisters. C/n's 6368 and 6369 to BEDT #12 and #13 respectively. Disposition of c/n's 6366 and 6367 are unknown.